My blog posts are like buses. You wait for ages for one to come along and then two come along at once. 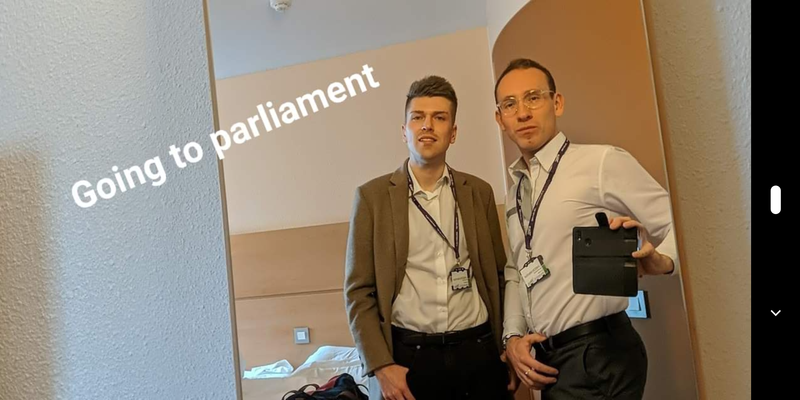 Like my previous blog post, I went to Parliament again. 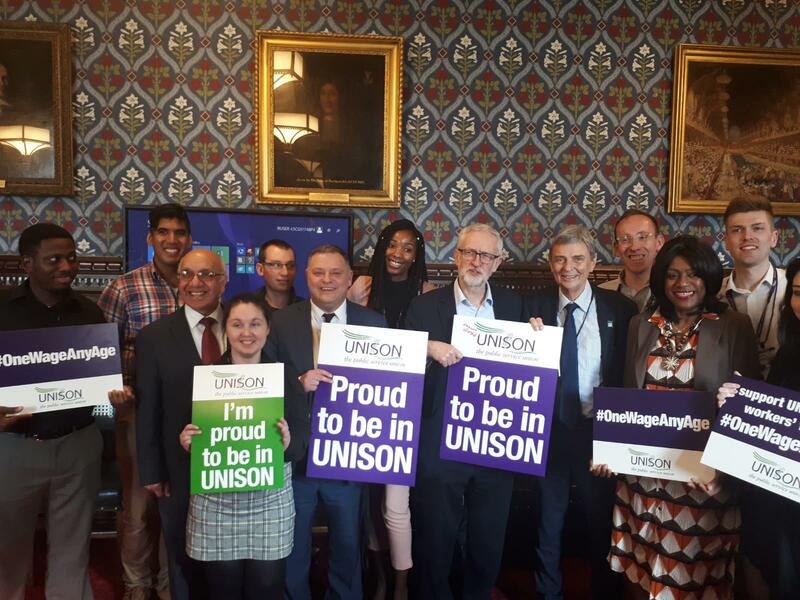 But this time to attend a UNISON reception to celebrate the 20th anniversary of the introduction of the minimum wage and to launch the campaign #OneWageAnyAge which calls for the end to age discrimination. Young people get increments so a 20 year old can earn less than a 25 year old for doing exactly the same job. That’s not fair. My friend Seb, and I went down to London the day before. The intention of this was to allow us a full day in parliament to watch an early select committees but we found that business in the house only started at 1.30pm that day. Going down the day before though, did allow us to take a more relaxed approach and we milled out at Speaker’s Corner, went to pub and then went out for dinner. 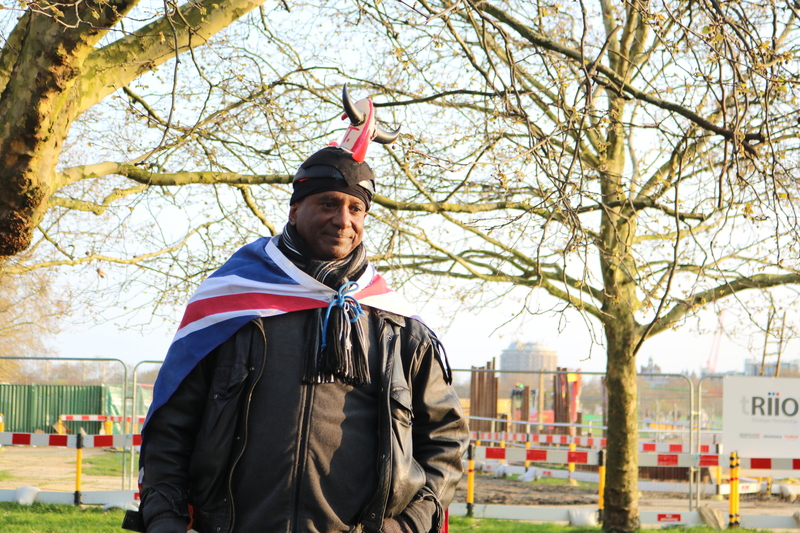 Above is a photo from our visit to Speaker’s Corner. We tried to avoid any religious speakers. We listened to this guy who had a fantastic ability to weave from topic to topic, to topic, so quickly and so amazingly that it was near on impossible to see his argument. 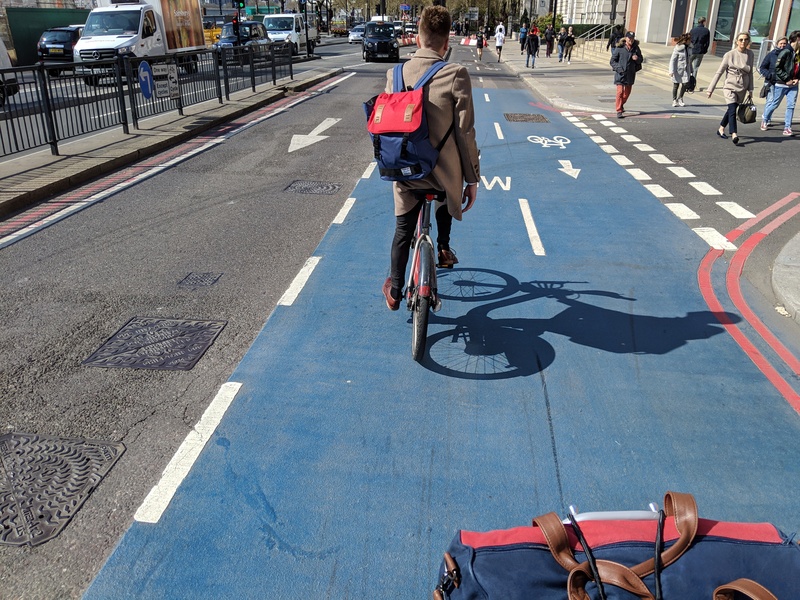 Without the rush, on the 1st April, we took our time over breakfast, went for a walk, and then got ready and cycled to the Houses of Parliament. Once there, we got our special tickets to go up to watch a debate. Firstly, we watched The Speaker’s Procession – where the police shout, “hats off, strangers”, and then we went and took our seats. Inevitably, the discussion was on Brexit. This time, we sat on the other side of the glass screen. It was fascinating being able to hear the tiny noises; groans, and comments under the breath, from members which would be muffled out on the microphones. After spending a couple of hours here, we went downstairs to the Jubilee Room. We were greeted by a humongous cake. Suddenly, through the door appeared Jeremy Corbyn MP. I fan girled. 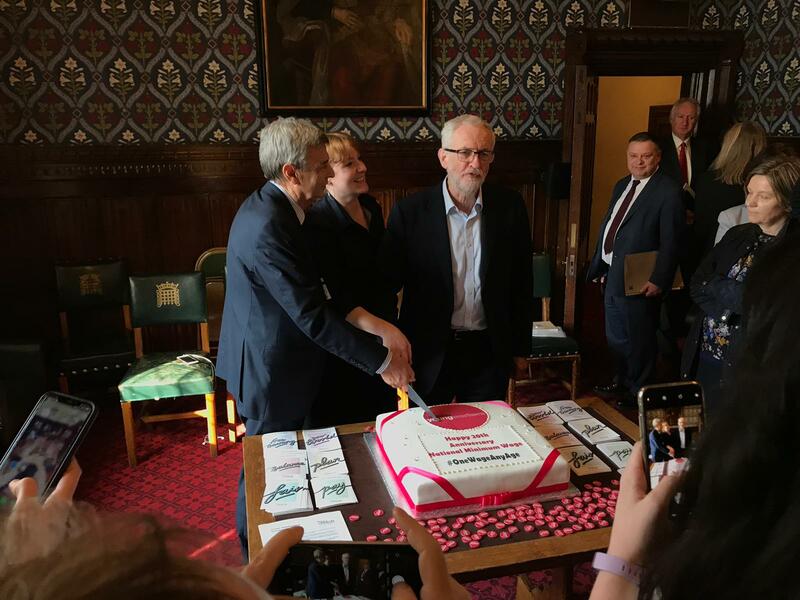 I went over a said “thanks for coming, Mr Corbyn” or something like that and shook his hand. I was so pleased he took the time out of his rather busy schedule. 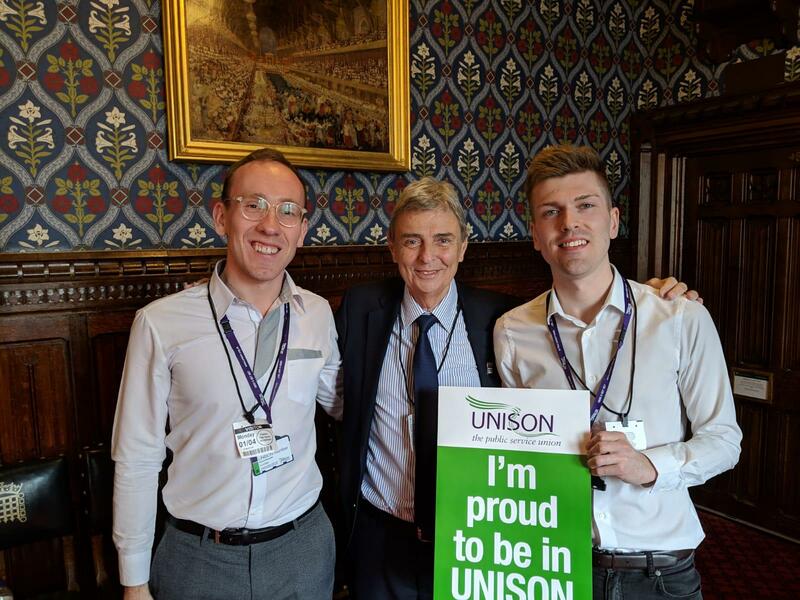 I cannot quite remember the order in which they spoke to us but Dave Prentis, Jeremy Corbyn and Rebecca Long-Bailey got up and spoke. 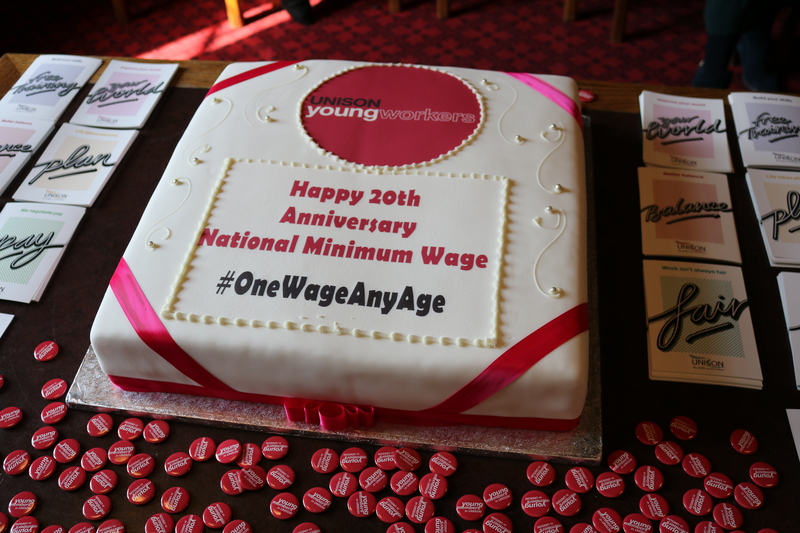 They stressed how wonderful it was that 20 years could be celebrated since Labour introduced the National Minimum Wage after campaigning from UNISON’s predecessor. They noted how employers, opposition and even some within the union, suggested that the national minimum wage would bring about mass unemployment. It never. Instead, it has become a glass floor to make sure everyone is guarantee a relatively decent wage. It should be more though. 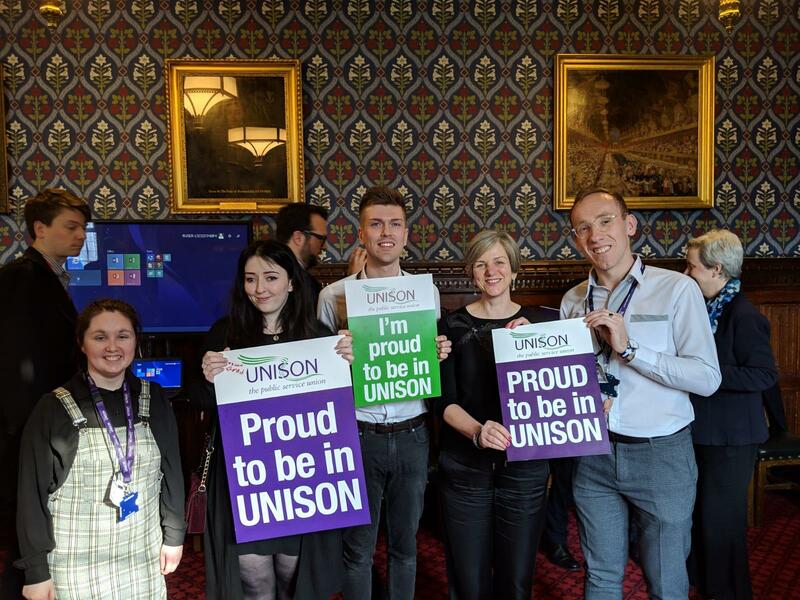 UNISON continues to campaign for the National Living Wage. Not that defined by the government, but as defined by the Living Wage Foundation, who set an amount based on what’s needed to live. 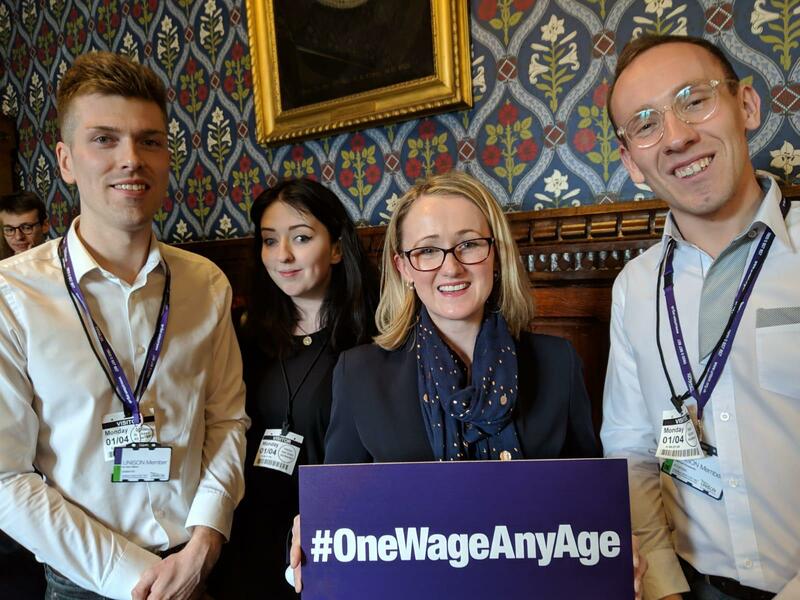 And of course, they spoke about the campaign launch of #OneWageAnyAge – a call for the end of age discrimination. Then the cake was cut! After a brilliant reception, we decided to go back to the Commons and watch some more of the ongoing debate. This was one of the “indicative” votes options. 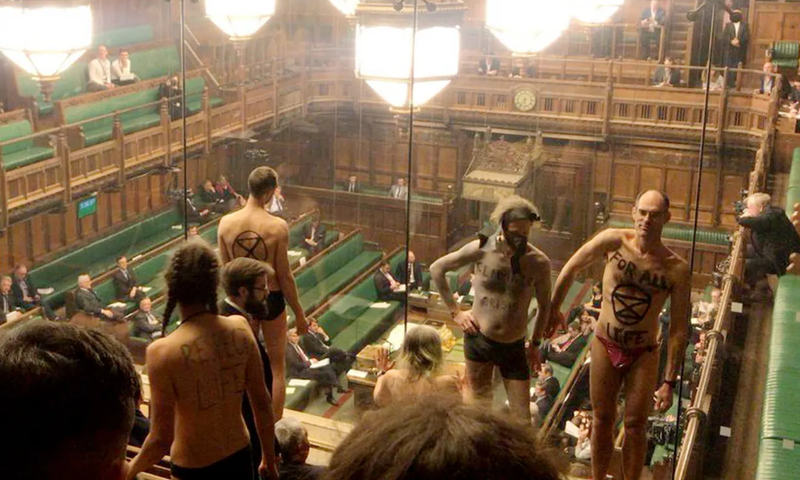 Soon after we sat down, Seb nudged me and as I looked to me right, I was greeted with 12 semi-naked bodies in the public gallery. Climate Change protesters, have stripped off and marched down to front of the gallery. Some superglued their hands to the glass! The police took a while to come and when they did, it took an age to remove them. Despite the disruption upstairs, Members of Parliament did carry on although some struggled, as can be seen below. Seb and I can be seen to the top left of the photo. The debates would continue for another hour or so, and then the votes needed to take place so we reluctantly left. We cycled up to St. Pancras, got something to eat, and then got on the train home. Thanks for listening or reading.